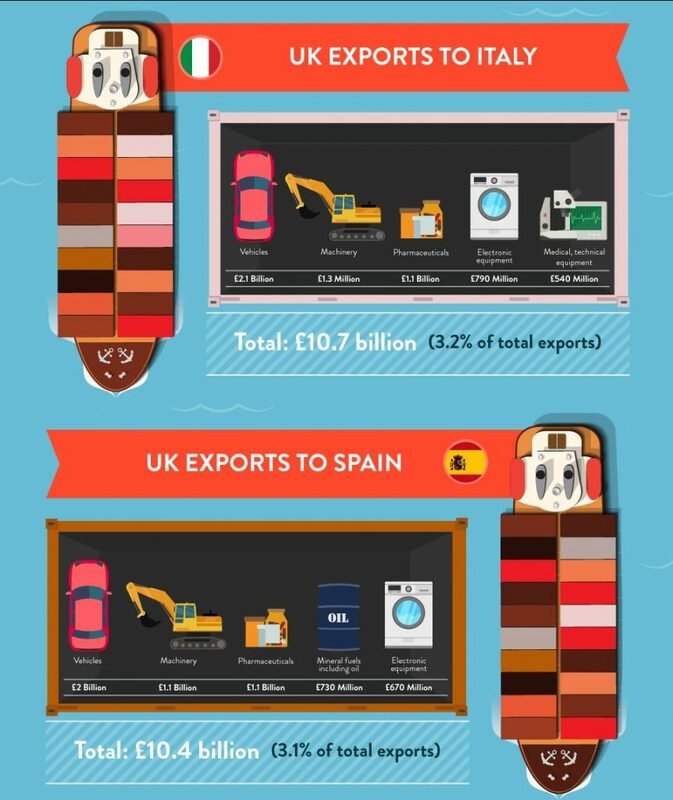 This series of infographics revealing plenty about UK exports into Europe. 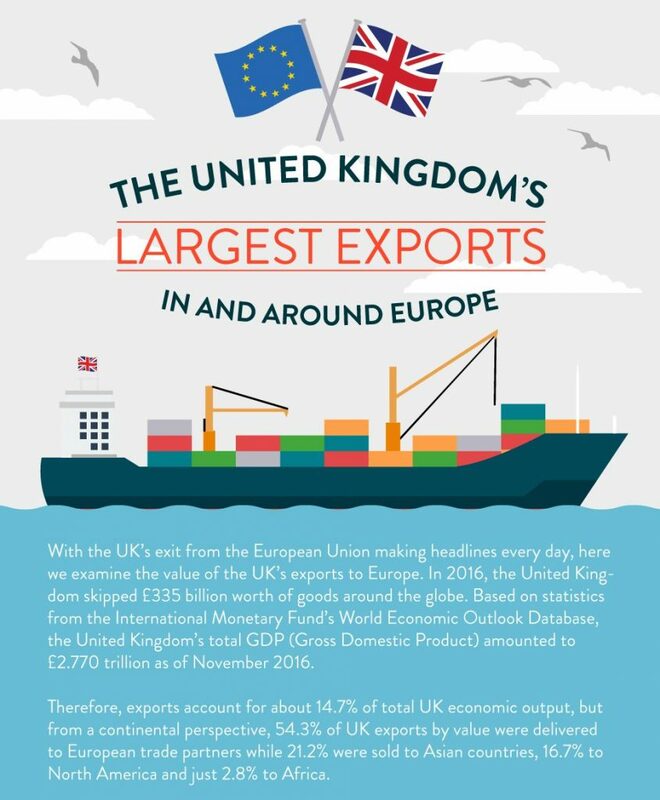 It’s clear that the UK will need a continued trading relationship with the continent following Brexit. While SMEs are advised to look beyond the EU as a way of mitigating risk throughout the upcoming Brexit years, finding ways to continue healthy business relationships in the continent is also a must. For more insights into doing business in Europe during the Brexit negotiations, watch our webinar on ‘Preparing for Brexit in 2017‘ or read our 12 step Brexit checklist. Like most companies, MyOffers.co.uk will likely be effected for good or for bad by article 50, which will see the UK leave the European Union. 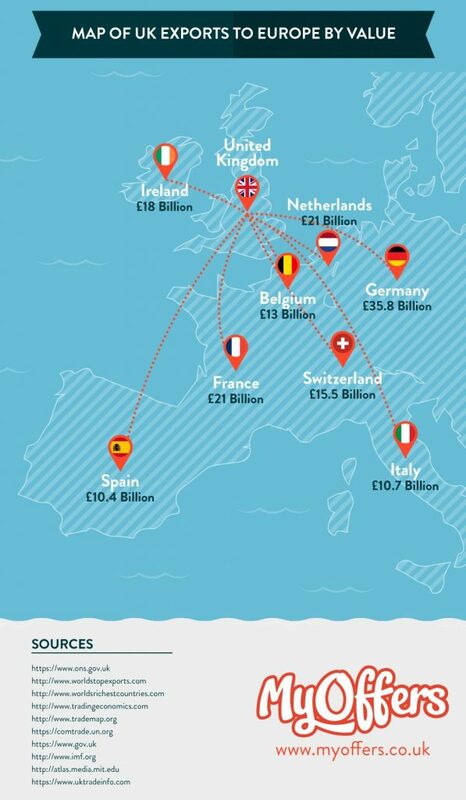 With the article set to be triggered, we wanted to take a look at what the UK currently trades with our neighbouring European Union members. 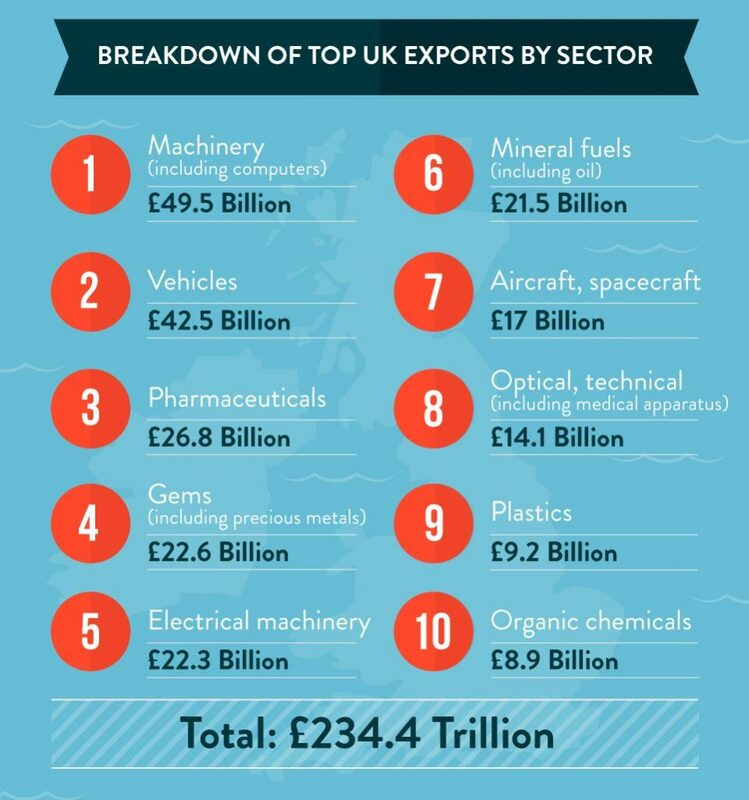 What does Britain actually export? Considering the size of the UK compared to some of our main competitors, there are still some areas where we compete overseas. 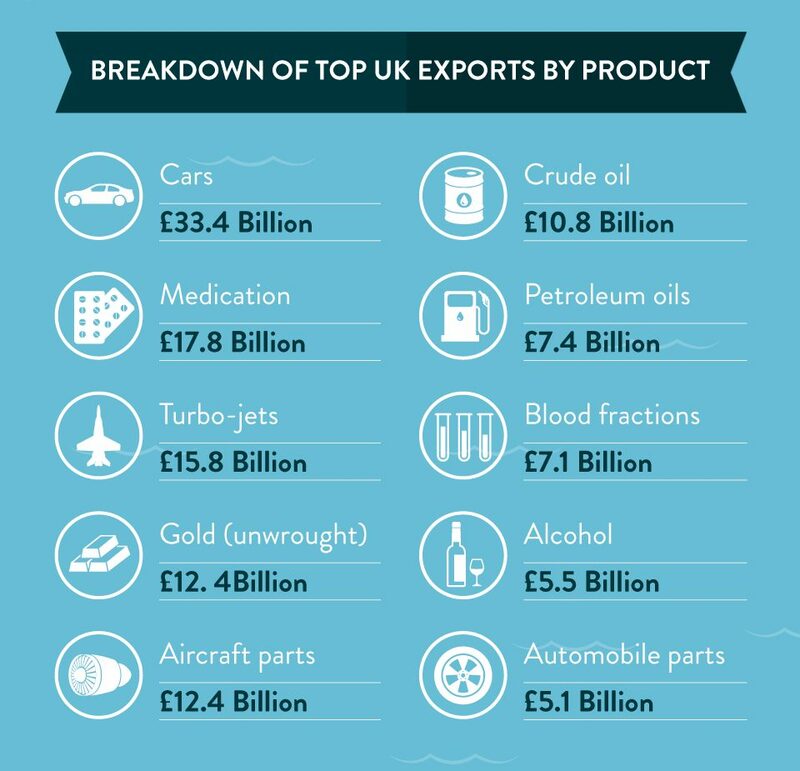 For instance, the UK is currently a top vehicle exporter, we typically export more vehicles then we import. We also comfortably export high end industry machinery, pharmaceuticals and gems. 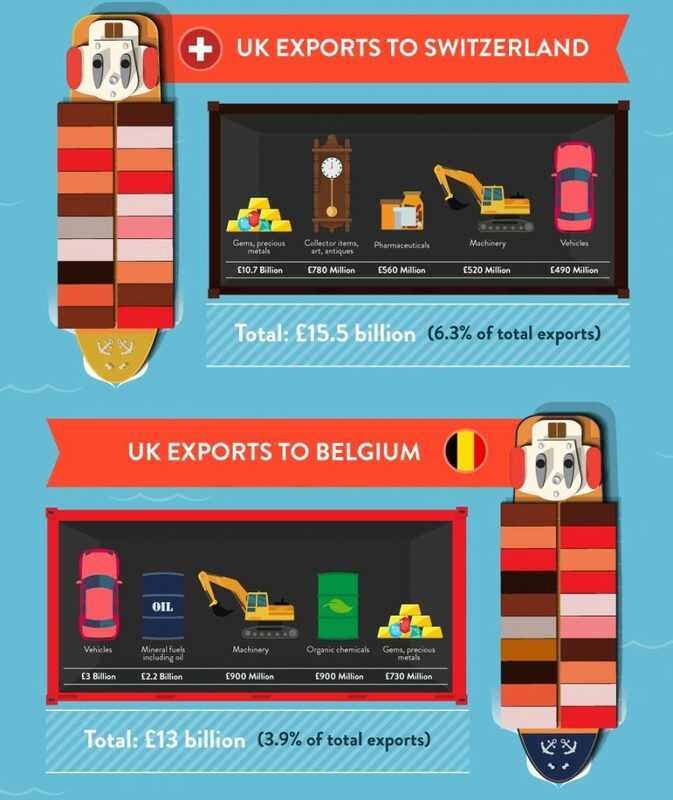 Going further into what the UK exports, the top export being car at £33.4 Billion, which isn’t surprising when you consider the number of top car manufacturers, such as Nissan, VW and BMW to name just a few. 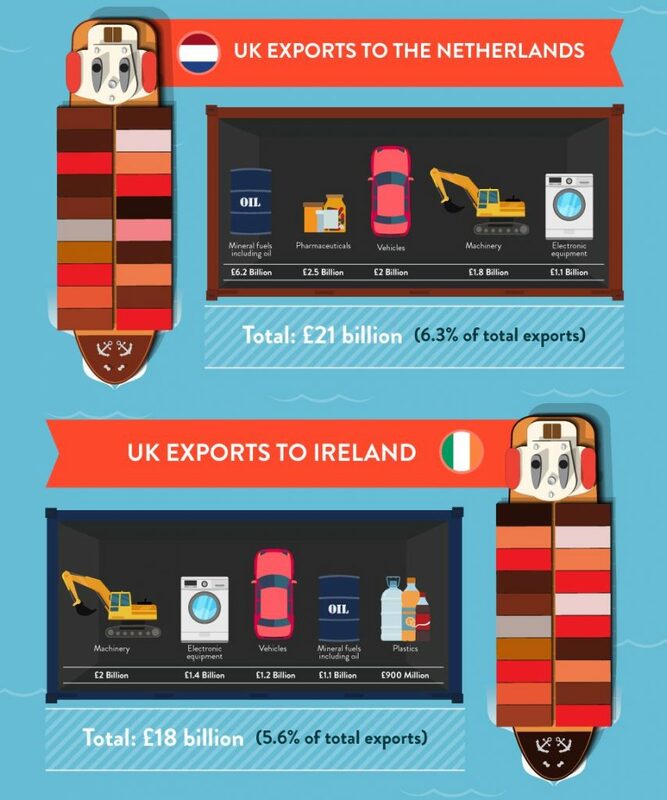 Next, we look at the top exports to the UK’s largest European trade partners. 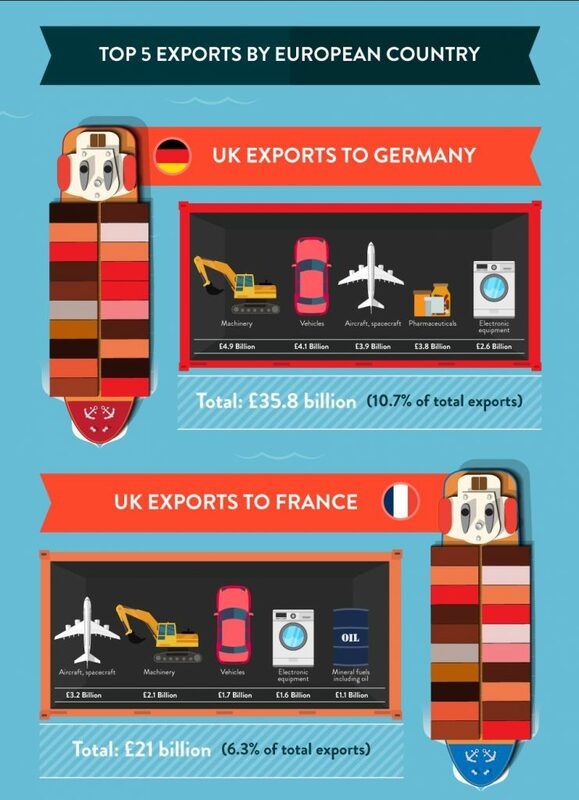 In the lead is Germany, who we export a £35.8 billion worth of products making up 10.7% of the UKs exports. These products consist of machinery, vehicles, aircraft, pharmaceuticals and electronic appliances. If you’re keen to mitigate risk for your business following Brexit, check out our Beyond the EU webinar series. The series features market introductions to Russia, Latin America, North America and the Commonwealth. You can also stay up to date with the latest Brexit rules with our Useful Resources page.